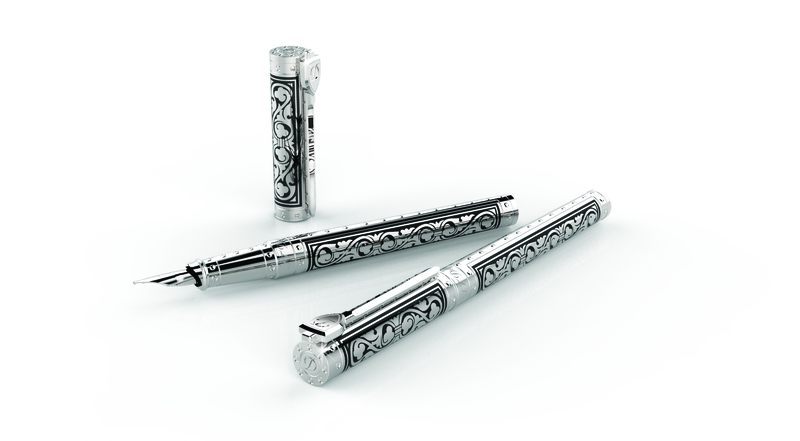 Here we have this New collection of St Dupont in three different lines: Premium, Prestige and Diamond. The White Knight Limited Edition pays tribute to the nobility of soul that drove these knights, drawing inspiration from the splendour and sophistication of their armour. 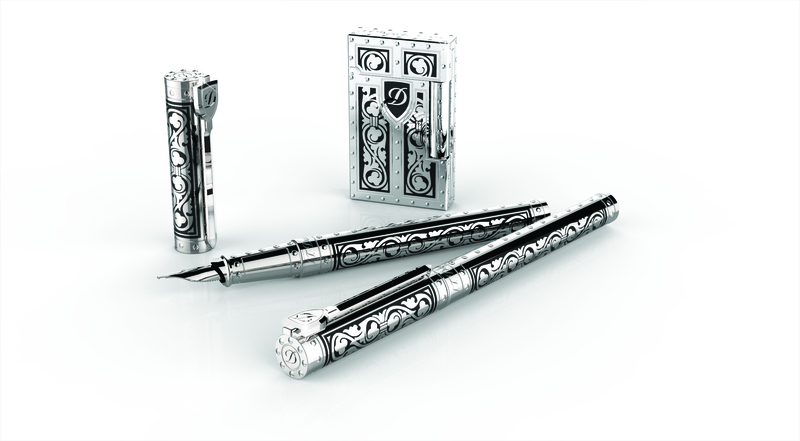 Four values symbolize S.T.Dupont and the very essence of its heritage: Excellence of unique pieces, Nobility of the materials, Pride of craftsmen and work of exceptional quality, Loyalty with exceptional items transmitted from generation to generation. 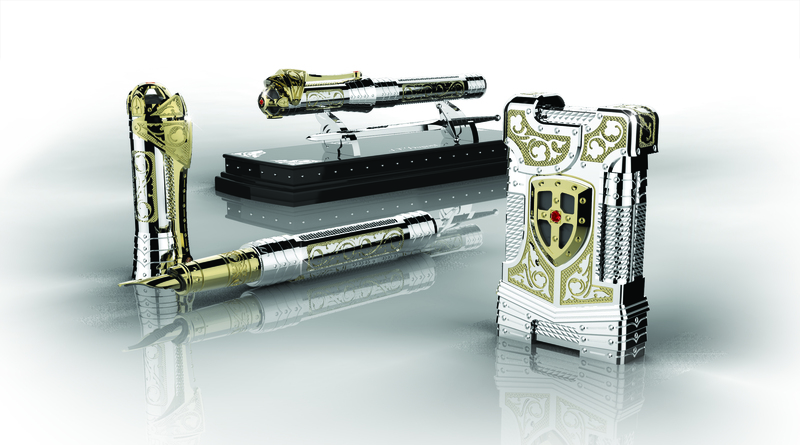 As a perfect illustration of these values S.T.Dupont has chosen the theme of knights for this new limited edition. Chivalry is a code of conduct associated with the medieval institution of knighthood. Chivalry appeared in the West at the end of the 10th century: it defined a social circle gathering soldiers who fought on horseback. All knights needed to have the strength and skills to fight wars in the Middle Ages; they not only had to be strong but they were also extremely disciplined and were expected to use their power to protect the weak and defenceless. The medieval knightly class was adept at the art of war, trained in fighting in armour, with horses, lances, swords and shields. Knights were taught to excel in the arms, to show courage, to be gallant and loyal and to swear off cowardice and baseness. Designed for battles, armours symbolized the antagonistic and confrontational nature of monarchs. The chased, chiselled, damascened and sometimes finely gilded décors of those exceptional pieces make them authentic goldsmith and graphic works of art. Each piece is delicately engraved, as a reference to the decorations of the Royal ceremonial armours of the Renaissance. The Diamond Neo-Classique President Collection has Black PVD finishes. 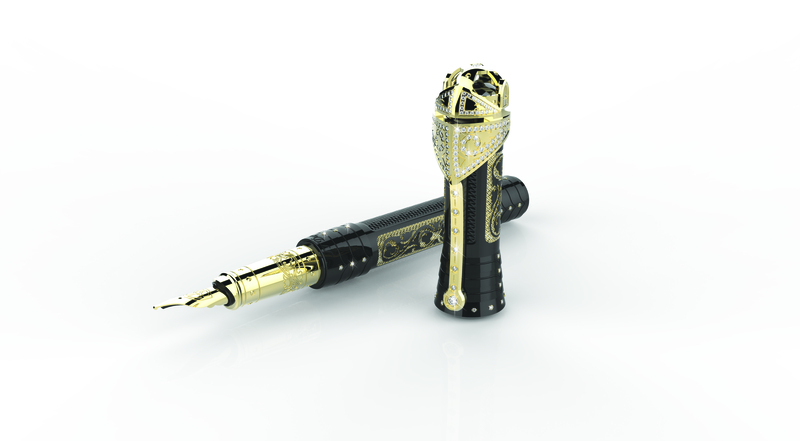 With a fine hand gilded French Renaissance decore and a 18K solid yellow gold nib. 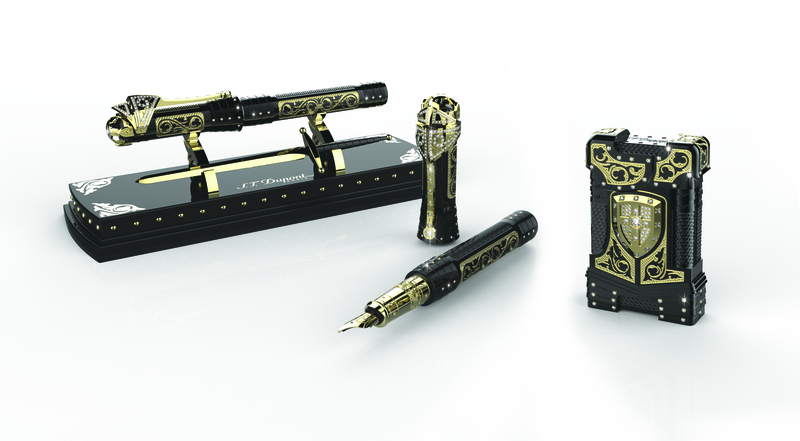 Pen holder with paper cutter: Black lacquered wood with gold silkscreening and metal sword with gold finishes. Limited to 28 individually numbered creations. 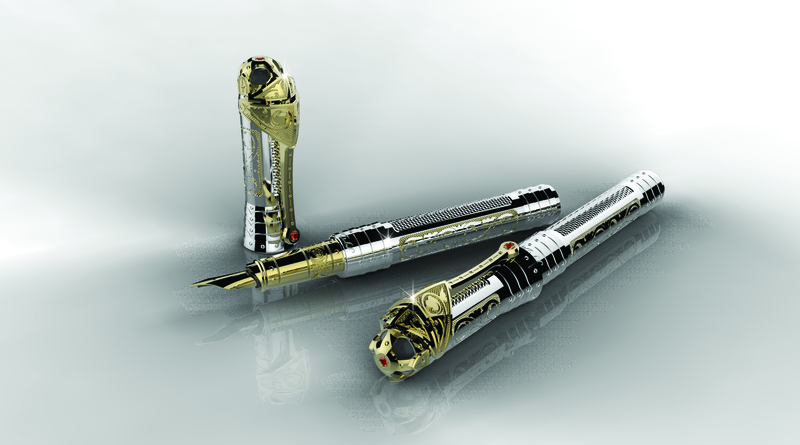 The nib is made of 18K solid gold. Limited to 1515 individually numbered creations, in tribute to the battle of Marignano that awarded the King Francois 1 with the title of Knight. The Prestige collection is made of Pale gold and has palladium finishes. With a fine hand gilded French Renaissance decors. One authentic ruby stone and Picasso jasper on top of the writing instrument and a 18K solid gold nib. Limited to 515 individually numbered creations.